Tender Pieces of Chicken and Rich Gravy, in a Baked Shortcrust Pastry Case. 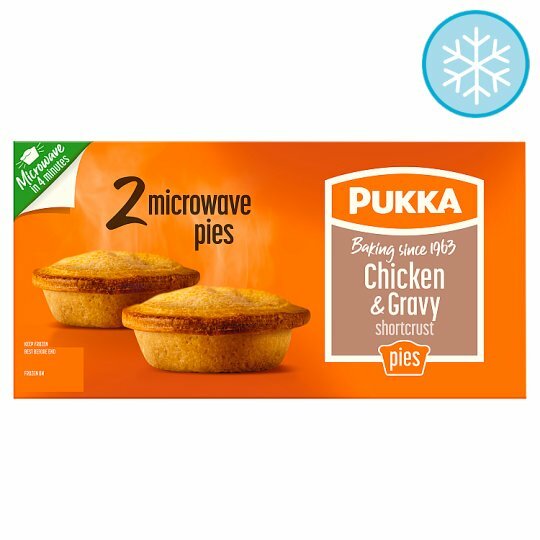 Break through the crumbly and crispy shortcrust pastry to enjoy nothing but delicious, tender chicken pieces and rich gravy in this simple but beautiful pie. Pop in the microwave and these delicious shortcrust pies will be ready in minutes.